Philippa Fisher tries and fails to summon a fairy. 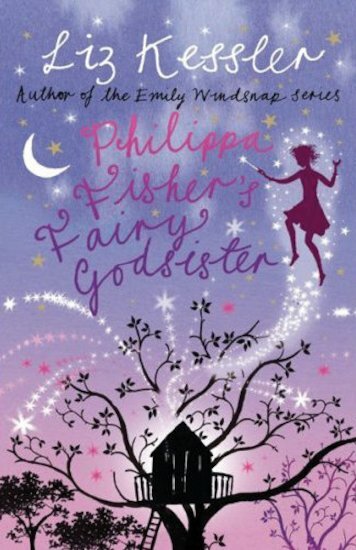 But she’s taken aback when Daisy, the new girl at school, announces that she is her fairy godmother – or godsister, since they’re the same age. Daisy is not best pleased with Philippa, but she has a mission to fulfil and is obliged to stick with her until she has granted her three wishes. The three wishes are at the heart of a traditional story in a thoroughly contemporary setting, which touches on friendship, luck and how we decide what we really want. It sparkles with magic and has the same warmth, charm and quirky characterization that Liz Kessler brought to her first three books.